A tiny, high quality but simple LED fitting useful for a wide range of accent lighting. Delivers 93 lumens. The LD60 has a slightly bigger bezel than an LD41 making it slightly more 'forgiving' of a not completely perfect cut out. A staple fitting in our schemes, it's great for subtle uplighting, niche, and display lighting. It has an excellent Colour Rendering Index of 93. If reduced glare is required please see LD72, LD56, LD42 or LD46 depending on application. IP68 rated, the tough fitting is made from a solid billet of stainless steel 316, and an integral anti-wicking barrier increases protection against moisture ingress due to incorrect IP rated cable connections. See product specification sheet in Downloads for fixing options. A 50,000 hour life expectancy and a 3 Year fitting warranty. Miniature low glare LED downlight delivering 127 lumens. Ideal for niches or creating a discrete wall wash. 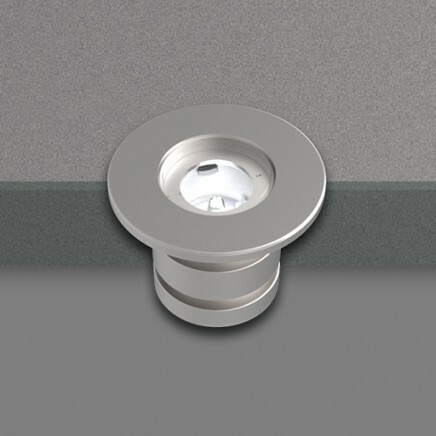 This tiny LED downlight has a minimal bezel and the LED set back by 10mm for minimal glare. 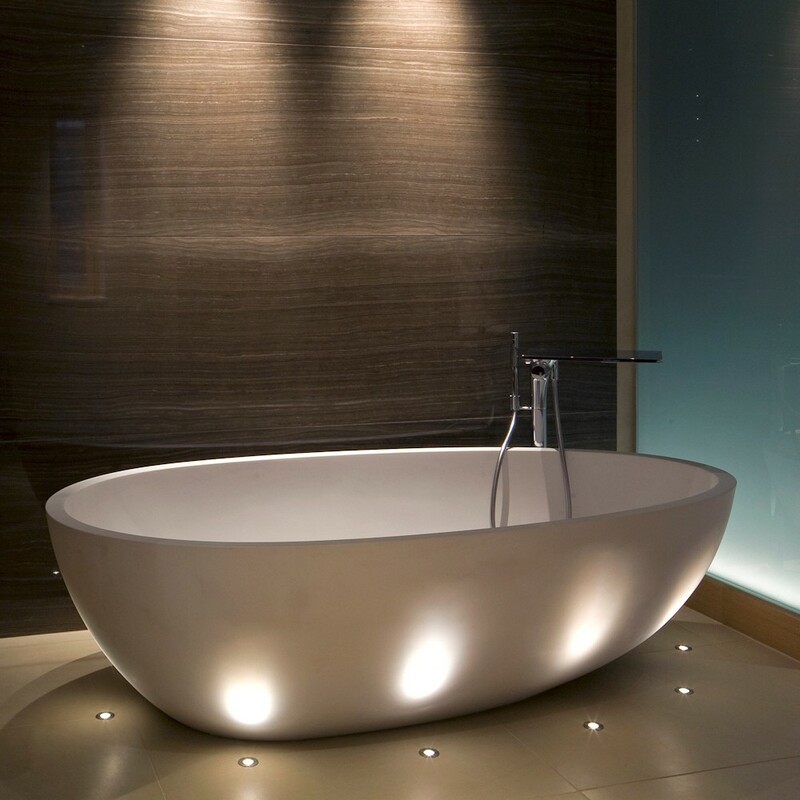 Great for display lighting or (for the IP54 version) shower niche lighting. Also creates stunning wall wash effects: use every c.350-400mm apart to create a striking effect down a feature wall. It utilizes the latest LED technology with a typical CRI of 93 in warm white. As standard the LD72 is IP40 rated (this version), but can be specified as IP54. A tiny, excellent quality and simple LED fitting useful for a wide range of accent lighting. IP68. 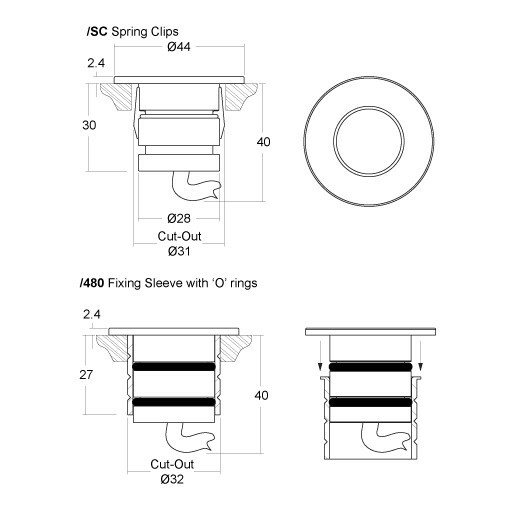 The fitting is either directly bonded with the surface or held in place by ‘O’ Rings and a /480 installation sleeve. Comes pre-wired with a 2 core 100mm cable.